Dynamic Events / Dynamic DJ Service is happy to be serving Metro Vancouver for 20 years. 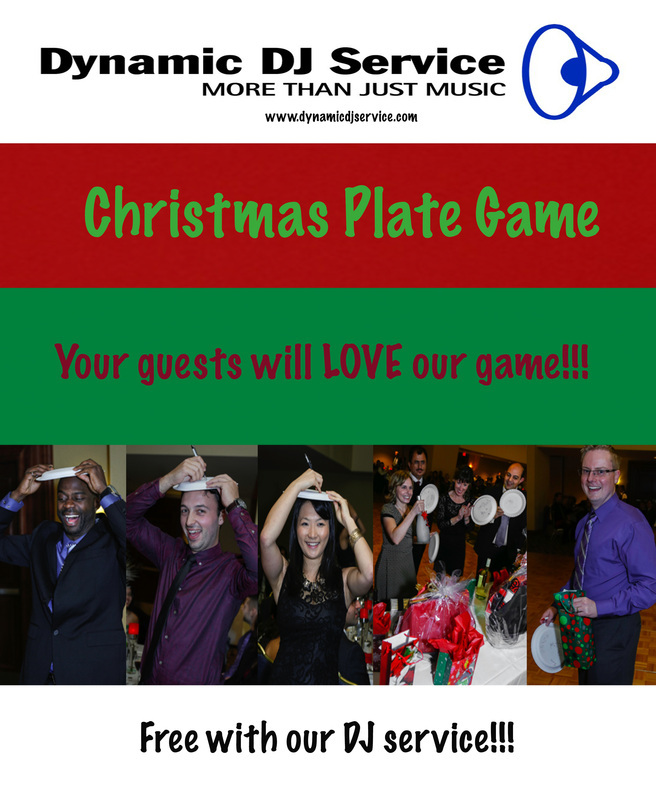 We love the holidays and know how important it is for you to hire a professional vendor for your corporate function. We are an extension of you and the quality of our service reflects on you and your organization. Our staff will be dressed and will act professionally. Rely on our quality and service for quality. Your mind will be rested with our 5 out of 5 star rating. We offer DJ, Photo Booth, Photography and Videography. Make sure you watch this promo video below. How do you ruin a perfect event? Hire the wrong DJ. Don't let the last few hours of your event end with a poor DJ, allow our professional DJ show you a night to remember. Your senior DJ will have comprehensive DJ training and experience along with a proven track record of excellence with no less than 5 years experience. Along with the top quality of music, sound and lighting your DJ will offer interaction and incorporate games and activities, if you wish. -We charge one flat fee so you know exactly how much you will pay. Interactive - If you wish, we can incorporate tasteful activities and party games which create a fun and relaxed atmosphere. Our clients have shared time and time again how they and their guests enjoyed how we kept the party going all night. Our activities always guarantee a laugh and help break the ice! The secret is to involve your guests in the festivities. Of course, if you prefer that we simply play music, that's fine as well. We’d be happy to let our music do the talking for us. Price - We pride ourselves on making it simple so you know exactly what you are going to pay right upfront. We charge one flat fee and NO HIDDEN FEES! We are serious about this. We guarantee a simple and no hassle pricing policy. Is price your only consideration? Then ask yourself this question? Do you want an ORDINARY DJ or an EXTRA ORDINARY DJ? We have ordinary rates but with EXTRA ORDINARY service! Fully Insured - Our equipment is fully insured and we have liability insurance. Best DJ's - Our well-dressed DJ's are professional, knowledgeable and experienced. We are flexible to meet every client’s specific needs. With Dynamic DJ Service, your youthful DJ's are committed to make your wedding celebration the best night of your life. We approach every function as if we were the DJ for our own family members because we recognize that this is the most important night of your lives. Requests - We always play requests. We provide you with very detailed lists of music from all decades and special wedding theme music lists. You can also download request sheets and provide us with a list of songs prior to your reception. You can make requests under the headings of "Must Play", "Play If Possible" and the all important "Do Not Play". We also have song lists at our DJ booth categorized by artist and song title so you and your guests can request music at any time. We play what you want to hear. Equipment - We use top quality, compact and professional DJ equipment, upgraded and serviced regularly. Lighting and cordless microphone is included in every package. Music - We subscribe to an international music supplier which provides licensed music to radio stations, clubs, and some DJs, which means we are updated with the all the latest music. All our music is of the highest standard on CD. We have a comprehensive music list which includes a wide selection of ethnic music. We have over 150,000 digital songs on lap top computer. 5 Star rating - Our reputation is what makes us so successful. We have proven that we are "More Than Just Music!" time and time again. Please view our testimonials page here for quotes from past customers and feel free to call one or more of our previous clients or www.weddingwire.com/dynamicweddings. Deal with one person - You will deal with the owner, Dennis Bellia from your initial email or phone call right up to your wedding date. Dennis documents your file with your special requests so your DJ knows exactly what your wishes are. Dealing with one person from the beginning to the end makes it so much easier. More Than Just Music - This is not just a motto, it's also the truth. We do more than just play great music; we are experienced DJs who guarantee an exciting party. We help you plan your special evening with multiple categories of the top songs to customize your reception with the music of your choice, access to request sheets, sample itineraries, reminder lists, etc. We prove it by giving you a lot more information than just music. If you are having a slide show, we can provide the projector and screen. This includes set up and connection to our DJ system for the audio of the side show. Projector and 80 inch screen (good for small parties) for $125 or projector and 120 inch jumbo screen for $175 (good for large parties). This is the biggest rage in corporate parties. It’s time to have a little fun and let loose. There isn’t a better ice breaker than the photo booth. Our book takes very high quality photos that print in 9 seconds. You will have unlimited prints for the entire session. Props and an on site attendant are included at no extra charge. You will also receive all the high resolution digital images for your archive. Bonus: Add the video feature where guests can leave Christmas messages in our booth for free. Pick a custom layout to make your strips stand out. We have over 100 to choose from. If those don’t fit your needs give us your wedding invitation and we will create a custom strip just for you! Your friendly photo booth attendant there to greet you and guide you every step of the way. We don't just stand there, we know photography and help you get the best photo possible. Anyone can stand in front of the booth to take pictures, but we guide you and ensure that you are fully aware of all the features and maximize your experience. Our pictures look so much better than the others. Because we are also professional photographers and know what makes a great picture great! Friendly service, quality components and terrific value makes us the best! We use a Canon DSLR 18 mega pixel camera. It takes approximately 30 minutes to put the booth together. We want the booth to add to the night not take away from the décor. Can I see pictures of your booth? Of course. See pictures below. If you are looking at another photo booth company and the picture of their booth is not clearly shown on their website. It's a clear sign to RUN AWAY FAST! We use sub-dye printers. These are the same printers you will find at a photo shop where you get your photos printed. Our photos only take 9 seconds to print! We do not use inkjet printers. Your photos will not last that way. You can see everything that is included above. Some companies charge extra for every item. Your guests have taken the time to dress up very nicely and enjoy a great evening of dinner and dance. Given that you all look so dapper, it would be a great touch to have our professional photographer take beautiful photos. The photographer sets up a portrait studio complete with professional lighting and a backdrop. We can even include props for some real fun poses. 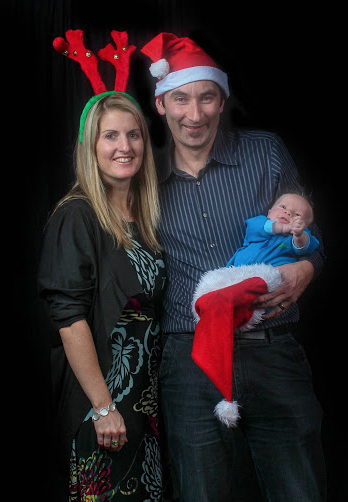 Feedback from previous events is that having their photos taken was a really nice touch and they loved the photos. Check out a few samples on our photography page of our website. All the best high resolution photos will be edited and cropped and sent to you electronically within 2 weeks. This is a terrific alternative to the photo booth. The rate is $795 for 2 hours. Want prints? We’ll courier 4x6 prints of all the fully edited and cropped photos to you for $150. What's the difference between the Photo Booth and a Photo Station? -Our team members all work together in sync as a team. Have you heard of competing companies having issues because a photographer is in front of the videographers line of film but doesn't care as his job is to get photos? Not with us! We're on the same team and we all work together for the mutual benefit of all! -Owner Dennis Bellia will be your sole contact the entire time! -Credit Card - We accept all forms of credit cards. We can process it right over the phone. -Email Money Transfer - Fast, easy and convenient. Please let us know if you have any questions or concerns. If you are wanting to proceed with the booking, simply pay your deposit and we'll send over a contract. Here are just a few works from our prior clients expressing how much fun they had at their corporate event. We have many more terrific reviews on this page. "I highly recommend Dennis from Dynamic DJ Services. He is excellent, and so are all of his DJs." "Everyone loved you! Not a single negative comment about your performance. Now I know what a difference the DJ can make at a party." "The feedback from our party on Saturday was nothing but positive ... with extra compliments to the DJ! We owe you a huge thank you for contributing to the success of our party once again. I would be happy to refer you to anyone for future events. We have a tip for you. 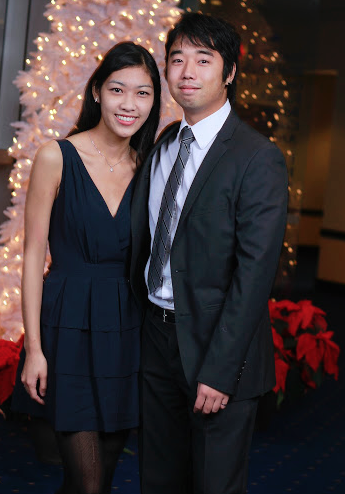 In anticipation for our company party next year, we would like to book with you again." "Event went really well, and program was a success thanks in large part to DJ's flexibility and of course DJ talents. Everyone had a good time, and really enjoyed the music choices.....not too loud and great set-up. I will be in contact with you regarding next year in the next couple of months." Thank YOU so much for doing a stellar job on Saturday! You had the group up dancing from get go and they didn't want to leave when it was time to! I've heard nothing but terrific comments on the variety of music, your professionalism and the way the whole evening turned out! We look forward to seeing you again next year! We have received many great comments on the music! My boss noticed the dance floor full so that was very good to see! Thank you for your DJ services at our party. 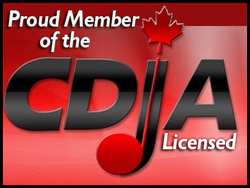 Daisy Rai - Fluor Canada Ltd.
"Mike was awesome, and Dynamic is our first choice for us if we need DJ services again. We will also make referrals! Mike was entertaining, responsive and effectively added to the festivities. Thank you for everything."